Mindfulness, awareness, cognizance: What do these words have to do with handcrafted soap? Each year, plastic manufacturing and consumption grows by leaps and bounds as the demand skyrockets for easy to package and single use products skyrockets. In 2015, global plastic consumption was a staggering 448 million tons. There are approximately 9 billion tons of total plastic in the world today. Of that 9 billion plus tons of plastic, 6.9 billion tons are now waste, and over 6 billion tons of that waste has never seen the inside of a recycling bin. Six billion tons of unrecycled waste. Where does it go? It’s difficult to estimate how much ends up in the vast depths of our world’s oceans, but conservative estimates are about 10 million tons per year. Much of this plastic is the result of careless littering on land that is in turn blown into the sea. As a result of all of this non-biodegradable waste, hundreds of ocean species have been adversely affected. Fish nibble on microplastics, while other marine animals are caught in soda rings and discarded fishing lines. The resulting damage from this massive amount of waste could be catastrophic for our oceans. Of the 448 million tons of plastic produced annually, 161 tons are packaging; baggies, bottles, all single use and typically used for an average of 6 months or less before being discarded. According to the Simmons National Consumer Survey (NHCS), in 2017 there were 238.19 million Americans alone using body wash; a figure that is expected to increase to 250.33 million by 2020. That is 238.19 million Americans, using an average of one bottle every 2 months or 6 bottles per year. That works out to 1.4 billion plastic bottles — and that number doesn’t include even shampoo and conditioner. It is on the basis of these staggering statistics that the HSCG is calling on every handcrafted soap and cosmetic maker and consumers who purchase personal care products to be cognizant of the packaging we use and purchase. Oceanic pollution caused by plastic waste is entirely preventable. Consumer and maker mindfulness can help to drastically reduce the amount of waste in our planet’s oceans. Along with the benefit of being locally made, luxurious and superior in composition, handcrafted soap, shampoo and conditioner bars have another ocean-redeeming benefit: they don’t have to be packaged in plastic. 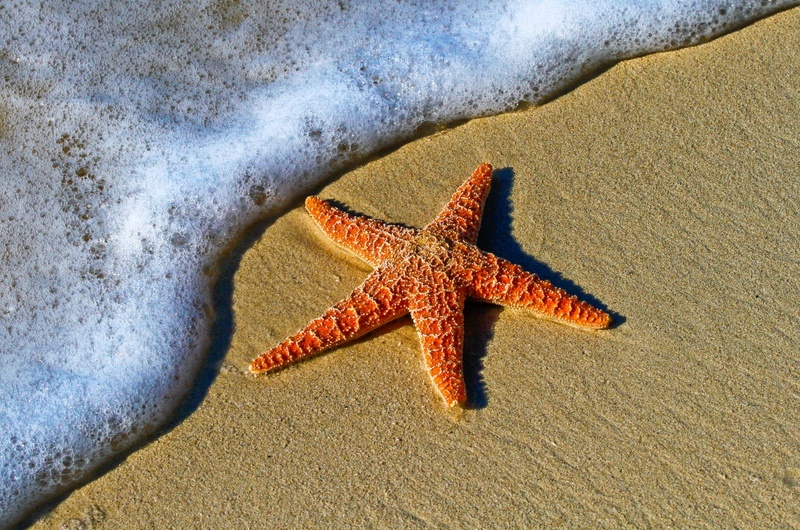 If even half of US consumers made the switch to bar soaps, shampoos and conditioners, we could make a significant positive impact on the amount of plastic waste that ends up in the ocean. 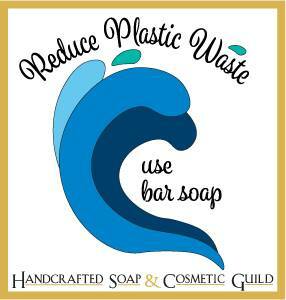 The HSCG is committed to educating the public about the sustainability of handcrafted bar products; and we hope you’ll join us by committing to reduce your plastic consumption as a maker by choosing to package your product without plastic, or as a consumer, by replacing your plastic bottled body wash, shampoos and conditioners with quality, handcrafted soap. Reduce plastic waste – use bar soap! Sources: Planet or Plastic, featured in the June 2018 issue of National Geogaphic, and 4Ocean. Soap—it helps clean up your act, it keeps you healthy, it delights your nose, it bubbles, it washes your mouth out when you are bad and it washes your cares away when you’ve been good! We’ve been doing this since 1997 and take great pride in making great soap designed to delight our customers.